On ABC, Giuliani defends "Let this go": "Saying to a potential prosecutor, 'Give the guy a break' ... You know what that means. You take into consideration that the man was a war hero ... Sometimes you don't indict. Sometimes you lessen the severity. ... Sometimes you ignore it." Ah yes, the toothpaste-ad approach to justice. Four out of five motives are pure! Stephanopoulus noted that in the letter Trump’s lawyers sent to Mueller, they made it clear that Trump personally dictated a misleading statement about the infamous June 2016 meeting between Trump campaign officials and Russian operatives. Previously, the White House had denied, unconvincingly, that the president had anything to do with that missive. The administration then changed its story, admitting Trump had played a role in the statement’s drafting but not that he dictated it. “Our recollection keeps changing” has not, historically, been a winning legal argument. Amid signs that Trump will have little compunction about pardoning underlings who don’t turn state’s evidence on him, Stephanopoulos asked if the president has the power to let himself off the hook. 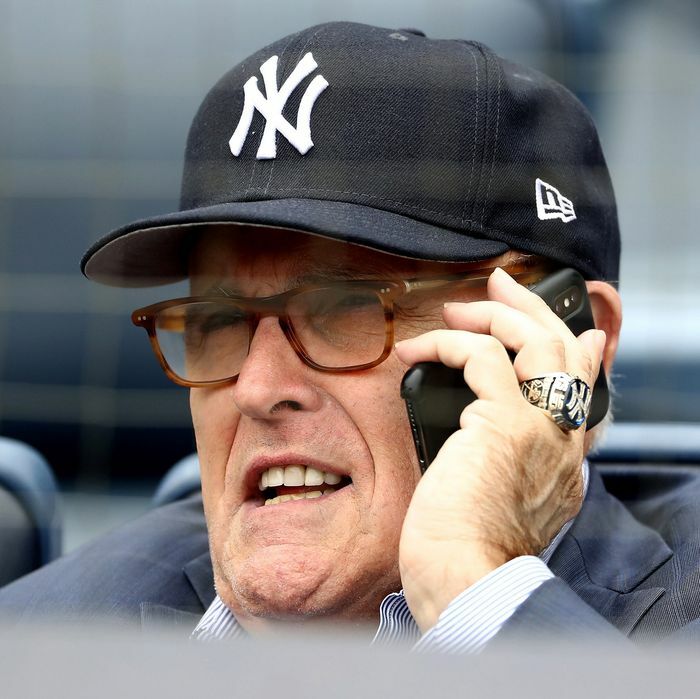 From a Constitutional perspective, Giuliani may have a point. Still, his casually tossed-off assertion that a president under investigation can place himself completely above the law may have made even Richard Nixon blush. It should come as no surprise, though, given the other signals Trump’s legal team has sent recently. Their overarching legal argument — that the president can do whatever he wants — has become clearer than ever in recent days. Giuliani’s points to a looming constitutional crisis that will pit the Trump administration’s declaration of king-like powers against the rule of law.